We all know that real estate developers can make big money; they also take significant risk. How can “mom and pop” real estate investors get into the development game? Starting with a small rental development where you’re adding one unit. Look at the history and growth of the areas the company develops in. Population growth is moving south to GA, FL, SC and the southwest, like Texas. A developer needs areas that are in a growth phase to be successful. Also look for companies that have healthy cash reserves and low debt. Debt can be positive if there is expansion of the business, however too much debt can we worrisome. Step 1 – Define an area where there is a need for additional rental properties – high demand and low supply. Step 2 – Identify property within the defined area that contains homes on large lots with R-2 zoning. Step 4 – Once you have identified a property get it under contract with the correct contingencies to give you time to do your due diligence and secure your deposit. Step 5 – This is the chicken and the egg scenario. Plans will need to be drawn and a budget created, but which comes first? It is often difficult to get plans if you can’t give the architect or designer a budget, and how can you give them a budget if you don’t have a plan. 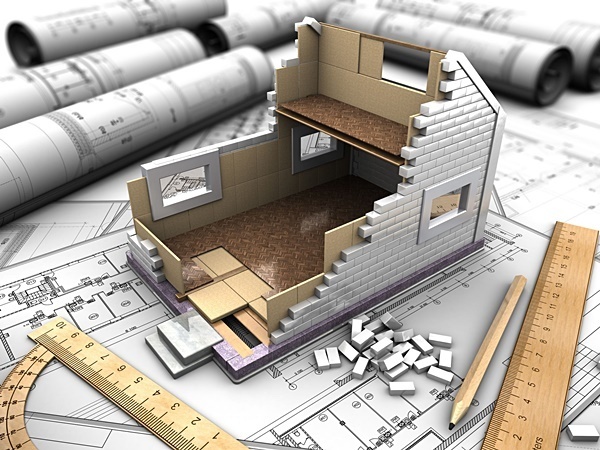 Here is a good rule of thumb: using a remodeling cost guide, find out what the cost per sq. foot is to build in that area and estimate the size of the unit desired (how much buildable space is there left on the lot?). Then multiply them for a starter budget – for example: say it is feasible to build a 2 bed 1 bath 800 square foot unit and the cost per sq. foot is $200 ($200×800 sqft = $160,000 budget. Although this may seem easy-peasy, there is a great deal of detail and due-diligence that goes into the real estate development process. But once again, the upside potential can be worth it.